Happy 240th Birthday, United States Marines! 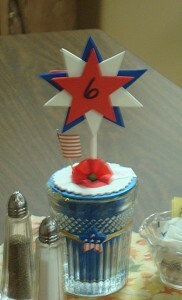 This evening, November 10, all over the country and beyond, Marines are celebrating their birthday. They weren’t born under a cabbage leaf, you know. They were born in a tavern. Tun Tavern. And ever since, for 240 years, they’ve been Defending Freedom. 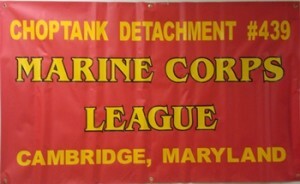 I had the pleasure of attending Choptank Marine Corps League Detachment’s Marine Corps Birthday Party at the VFW in Easton, MD tonight. The Detachment adopted Marine Moms-Bethesda back in 2009, supporting our mission at Bethesda, then Walter Reed after the two hospitals combined. Guests signed in as they came through the door, were given a raffle ticket for the door prizes, had raffle tickets available to purchase for the 50/50, and there was a table to sign cards to be given to the patients at Walter Reed during our December 6th luncheon. 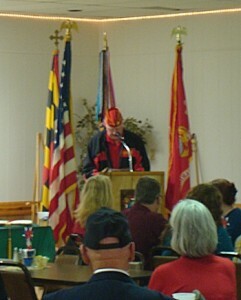 After the Pledge of Allegiance and the Marine Corps Hymn, Wayne read the Commandant’s Birthday Message. 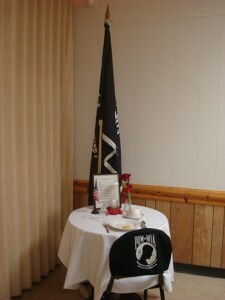 A buffet came next, cooked and served by the VFW Ladies Auxiliary, best mac and cheese and scalloped potatoes ever, along with cole slaw, wings, and meatballs. Then the cake cutting ceremony with the oldest and youngest Marine cutting the cake using Wayne’s sword. I always feel like I’m in the company of Heroes at their Birthday Party. 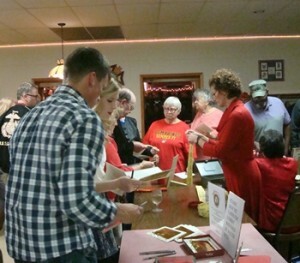 There are WW II Veterans to Marines recently out of Boot Camp celebrating the Corps together. And when they all say “OOH RAH” in unison it’s something to hear. Marine Moms-Bethesda was honored to receive a very generous donation toward this year’s “Holiday Cheer” project from the Detachment. Thank you so much, we are very grateful for your support — Marine Veterans supporting Marines in the Wounded Warrior Battalion at Walter Reed. It was a humbling evening. A different take on the Marine Corps Hymn, Happy 240th Birthday to the United States Marines, by Madison Rising. Happy 240th, Marines! We’re so proud of you! Marines have a history. They have fought in every major and minor engagement in which the United States of America has ever been involved. Marines are the Presidents guard. Marines are the best we have to offer as a nation. Marines have a tradition. Marines do not surrender. Marines do not leave their dead on the battlefield. Marines have an Honor. Marines die for that Honor. 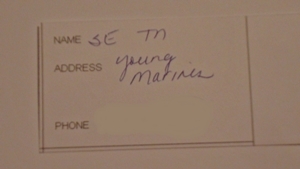 Marines are Americans in the highest sense. 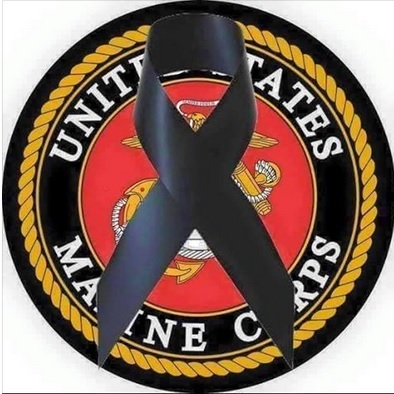 Marines guard the very gates of Heaven. 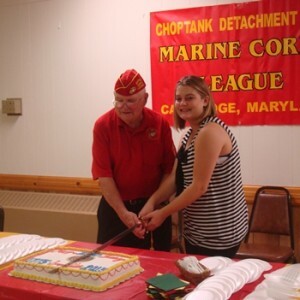 Choptank Marine Corps League DetachmentMarine Corps BirthdayThank You!